Three Years of Twitter. What a long, tweeted trip it’s been. Sunday, March 7 marked the three year anniversary of the day I joined Twitter. I don’t remember how I first heard about the platform. I didn’t use it much for the first 8 months and after a year and a half, I still mainly shared with a small circle of people … maybe 300 people followed me and I followed half of them back. 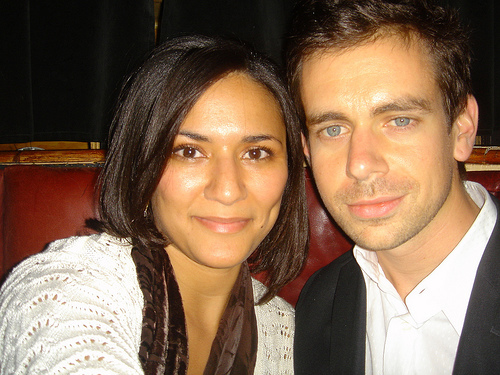 Sometime over the summer of ’08, I became friends with Jack Dorsey, cofounder and the idea guy behind Twitter. On one of his visits to NYC in October, I went to my first Tweetup (being hosted by a friend of his) and experienced the power of the hashtag. I am just blown away by the generosity and love my friends showed me and my roommate Katie last weekend at our house party and the inaugural Chillhouse bash. It was amazing, amazing, amazing. From friends showing up early and pitching in with getting ready, to my roommate’s fiance shoveling the snow in the backyard, to Patrice doing the Cheesecake Dance at the end of the night and all the funny moments that happened that night, I was so happy and so pleased by the feelings of love in the house. That’s what made it a warm house. Just a quick heads up – I found out last Tuesday that I needed to find a new apt. by Sept. 1. My roommate’s allergic to my cat and she’s the one who’s on the lease, so I’m out. I’ve been thinking and talking about moving for a while. I hate commuting, and I wanted to be closer to work. But I also love my neighborhood and being a Brooklynite. “Che bella cosa na jurnata ‘e sole, n’aria serena doppo na tempesta! “What a beautiful thing, a sunny day. The serene air after a thunderstorm! NOTE: These photos are the companion to a love note I wrote to New York City a couple months before moving here. Click here to read. My next girlfriend, Layla The Bellydancer.